Toddlers are the perfect mix of sugary sweetness and total insanity. They give us something to live for and exhaust us to the bone at the exact same time. 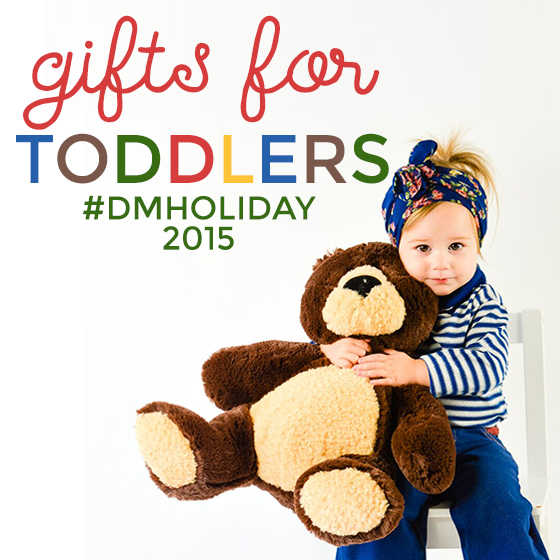 Toddlers are also very fun to shop for during the holidays. Their clothing choices are the cutest and they really love to get new toys. Toddlers aren’t asking for laptops or smart phones. They just want to play all day. Don’t give the average, superstore type gift. 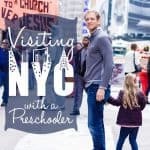 Here are some incredible ideas for any toddler on your list this year that will fire up their imaginations and keep the sweet and insane fun going. DEMDACO‘s mission is simple: to pursue business the way it ought to be. We realize that this compass setting requires constant evaluation and calibration, and we realize that we fall short of our goal every day. 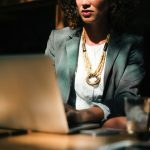 But we’re committed to the notion that business does not have to be solely a financial endeavor. It is first, and foremost, a human endeavor. Founded in 1997 by Demi and Dave Kiersznowski, DEMDACO offers a hand-selected collection of gifts, products for the home and garden, fashion and jewelry, baby and kids, bath and body, holidays, and celebrations. DEMDACO strives for their products to lift the human spirit. Our hope is to offer DEMDACO consumers products that reflect their desire to nurture goodness in their own lives and in the lives of others. The Nat & Jules’ sleeping bag line is just about as fun and unique as it gets. These oversized, plush sleeping bags are shaped like animals, have a zipper closure and a built-in pillow that’s shaped like the animal’s head. The best part about these sleeping bags is that they roll up, fold and tuck inside their own pillow, staying secure with velcro. Your child’s sleeping bag conveniently becomes a breeze to tote around with the top handle. Your child will love the super soft, luxurious material and fun characters: Belina Bunny, Daddles Duck, Damien Dog and Meekie Monkey. Once the sleeping bag is rolled out, it will be like sleeping snug as a bug with their very own built-in pillow pet. These comfy sleeping bags are perfect for sleepovers, campouts or just snuggling on the couch during family movie night! At 27 inches long, they are spacious enough for toddlers of all sizes! 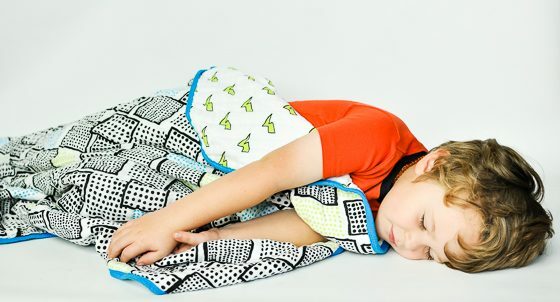 Nat & Jules’ sleeping bags are perfect for any young child on your list. 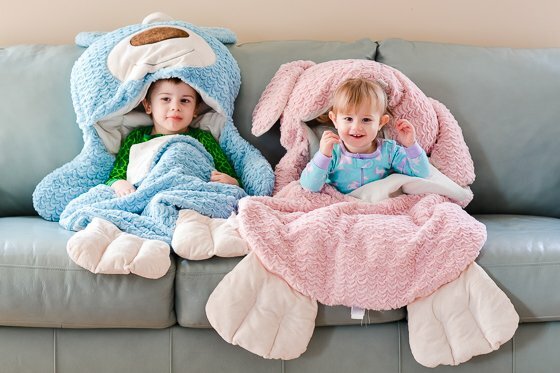 From sleepovers to campouts to movie nights in the living room, your little ones will love having their very own snuggly, animal pal sleeping bag with a built-in pillow! “Momtrepreneur” Megan Linke started making baby shoes when her son Liam was born. With Lili Collection, she prides herself in her mission to create beautiful, handcrafted shoes that are made in the USA. In fact, Megan hand-selects all of the leather for her moccasins, boots, oxfords and loafers from the Acclaimed District in NYC. She believes that repeat customers come from producing quality-made, beautiful products. Lili Collection has been featured in Glamour UK Magazine, the Hallmark Channel and Harper’s Bazaar! The handmade “Shoe-Shi” moccasins are soft-soled and made with genuine leather. Choose from 3 shades in this adorable sushi-inspired moccasin design for the little foodie in your life. 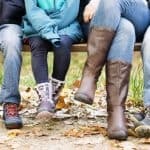 These mocs are perfect for boys and girls. They’re super soft, comfortable and the elastic in the ankles makes them easy to slip on and off. These Shoe-Shi mocs are sure to be a hit wherever you go! A pair (or 5) of fringe leather boots should be a staple in any little fashion-forward tot’s shoe collection. Made with the same hand-crafted love and genuine leather as the moccasins, these boots are the perfect everyday shoe to dress up or down according to occasion. Available in 14 different colors/patterns, these boots will fit into the wardrobe of any little boy or girl. Each boot has velcro on the inside, making them super easy to take on or off. Lili Collection leather moccasins and boots are the perfect gift for any fashionable little person in your life. With a variety of styles and colors, there is literally something for everyone! The mastermind behind Paige Lauren is a hard working, go-getter, successful woman entrepreneur who just happens to be Paige Lauren. 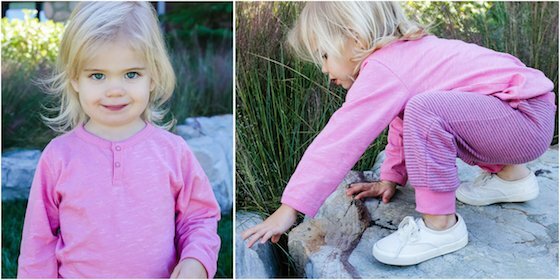 This self named company was started from the ground up with an idea to create baby and toddler clothing that was simple and classic, yet still beautiful and trendy. Not even having kids herself, but frustrated when it came to picking out clothing for her friend’s babies, she decided to take matters into her own hands and create styles that she herself loved, which in turn became apparel that every mother couldn’t resist. Bonus: Paige Lauren apparel is proudly made in the USA! It’s easy to buy clothing for the toddlers on your Christmas list from basically anywhere, but this year outfit your little loved ones in the designs from Paige Lauren. 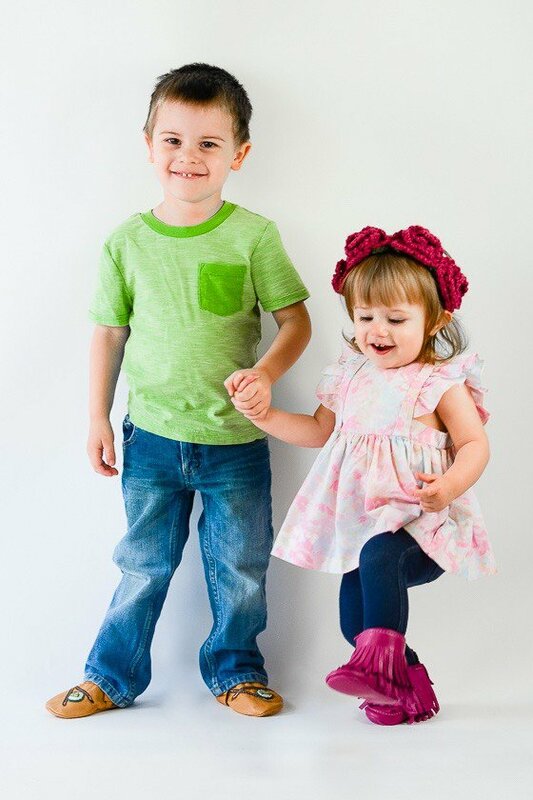 Paige Lauren features clothing for toddlers that are made from the finest organic materials that allow for the utmost in comfort and durability, not to mention many styles are gender neutral, which is perfect for expecting mothers or multiple siblings close in age. Some of the cutest lounge pants you’ll find for toddlers are right here at Paige Lauren. With subtle colors, and styles that adults would wear in a heartbeat, there is a wide variety of different bottoms to choose from. Drawstring waists, cuffed legs, pocket accents, stripes and solids, and different textures make up the collection of Paige Lauren’s pants for babies and toddlers. The no-frills premise of Paige Lauren carries over into their line of tops. With simple hoodies, t-shirts, cardigans, and more, your little one will remain fashion forward, while being comfortable and unrestricted while at play. For those moms and dads who prefer their toddler’s clothing to not boast the latest Disney characters, and instead lean towards a more refined wardrobe for their children, then Paige Lauren clothing fits the bill and the budget this year for Christmas shopping. Hint: put the Paige Lauren bug into your children’s grandparents ear too! After spending 12 years working in womenswear and menswear, Los Angeles-based fashion designer, Sawako Yamauchi, learned she was expecting her first child. Inspired by the approaching arrival of her son, she decided to create a line of fun, colorful and comfortable children’s clothing that represented the California lifestyle. With that, Miki Miette was born! The ultimate fleece hoodie, the Lex Moto is stylish and hip right down to the tiniest detail. 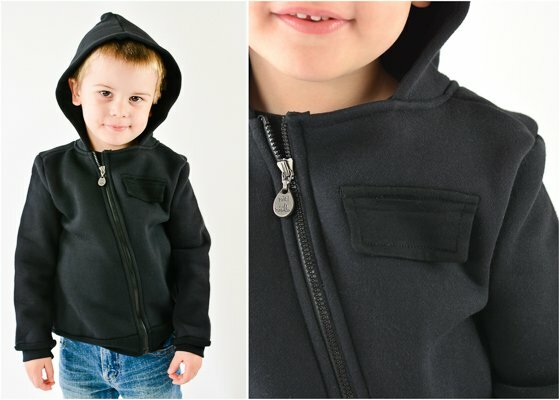 An asymmetrical zipper boasts the Miki Miette logo in the front; and a fun little twist to the ever-so-iconic “MOM” tattoo is displayed prominently on the back of this ridiculously comfortable hoodie. Your little ones (18 months all the way up to 6 years) can proudly display their love for you in this cool “I Love You Mom” hoodie. It’s thick, warm, soft, stylish and ultra-comfy. What more can you ask for? 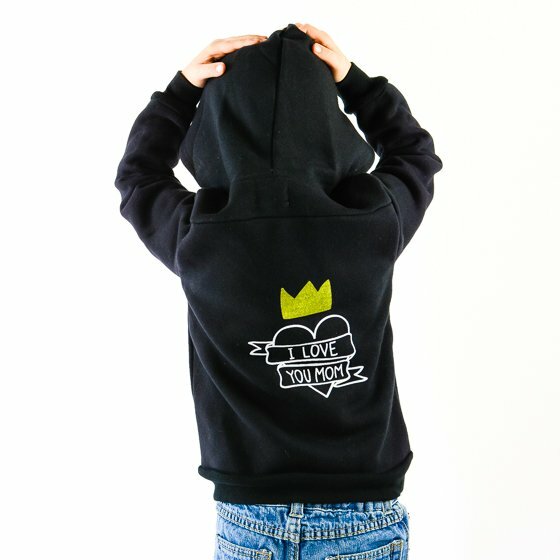 Miki Miette’s “I LOVE YOU MOM” Lex Moto hoodie is the perfect gift for all the little ones in your life. They get a comfy, stylish hoodie, and you get a reminder of just how much they love you every time they wear it! 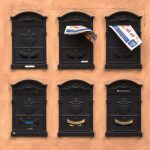 Use code: HOLIDAYLOVE at Mikimiette.com for 15% off your order! 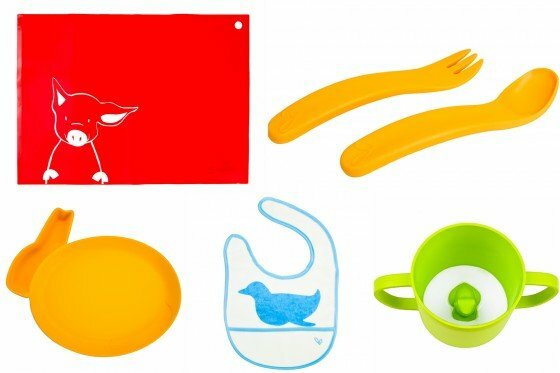 At JJ Rabbit, they strive to thrill parents and kids with fun and functional products that make mealtime enjoyable and easy. They want JJ Rabbit products to be the favorite cup, plate or bib that your kid remembers when it’s time for THEM to have kids. Their design philosophy is modern, contemporary, and fun. Meaning that first, the design must be safe and functional. Second, it must excite and inspire kids. Third, it should look great to parents too. This practical and cuddly soft bib gets the job done and looks good doing it. JJ Rabbit has developed the dryBib to be waterproof to protect your kid’s shirt and has a catch-pocket to keep the pants spot free as well. Two layers of premium organic cotton make the dryBIB oh-so-comfortable for your little one. Plastic and rubber bibs suffocate your child’s skin and can be uncomfortable around their neck. 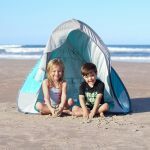 The outer layer of organic cotton has waterproof laminate on the inside, keeping your little one dry and happy while the catch-pocket will capture any stray pieces of food or spills. siliMATs are perfect for home or on the go – protecting kiddos from germs, dirt, and cleaning chemicals on public surfaces! Made of soft, food-grade silicone, the anti-slip siliMAT can be a placemat or a plate. They are reusable and easy to clean – simply wipe or throw in the dishwasher. JJ Rabbit also added a hole on the upper right hand corner so siliMATs can hang dry and be re-used quickly. The silicone makeup means each mat will not corrode or deteriorate, and will not support growth of fungus, mold or bacteria. Fear not, it’s odorless and tasteless; no “out-of-the-box”degassing here. Tired of watching your kids eat and all the food ends up in the bib or on their lap? JJ Rabit has your answer with their ergoFORK + SPOON set. Watch dinner turn into an actually feeding frenzy instead of an exercise in food-droppage. The patented angle handle means that it’s easy for your baby to hold, pick up and put down. There is a curved tip for easy self-feeding, and the elevated spoon tip keeps food spills off the table. Everyone wins with the ergoFORK+SPOON! Make meal time more fun with these stackable animal plates. Keep food, condiments, and anything else separated with divided sections. Keep your little ones happy with their animal friends – including pig and rabbit in a variety of colors. DipPLATEs are fun to use for kids and easy to clean for adults. Simply throw them on the top rack of the dishwasher or hand-wash them in baby-safe detergent and warm water. The DipPLATEs are made from FDA approved biodegradable plastic, and of course with all JJ Rabbit products, you never have to worry about BPA, Phthalates, PVC, or any other dangerous chemicals. It’s time to transition to a real cup; but, how do you do that without taking away the security and comfort of a sippy cup? With a hidden animal at the bottom of each of JJ Rabbit’s CUPPIES, your little ones will finish every time to see their favorite friend. There are CUPPIES available with a frog, penguin, rabbit, or pig featured. Colors include, blue, red, yellow or green. 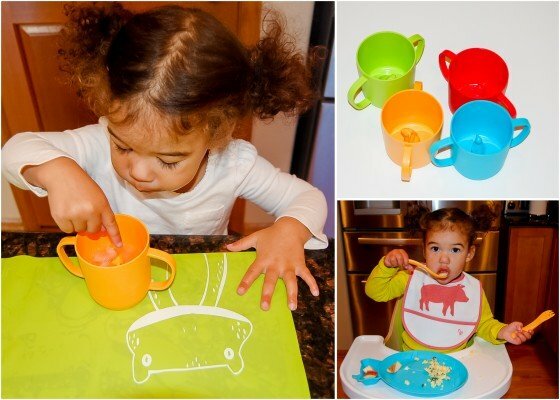 JJ Rabbit’s dining utensils are perfect for infants, toddlers and the occasional adult on a rib night; for toddlers as they are learning to use utensils and feed themselves; toddlers who are ready to transition from a sippy cup to a regular cup; and for human toddlers who love to eat AND play with their food. Known for their imaginative and social play products, Little Tikes encourages your children to grow and learn at different stages of their lives from the time they’re a baby to the time they enter school. Their toys include both indoor and outdoor toys, preschool and toddler toys, furniture, baby toys, classic toys and wagons. Little Tikes cater to boys and girls of different ages and learning capabilities. 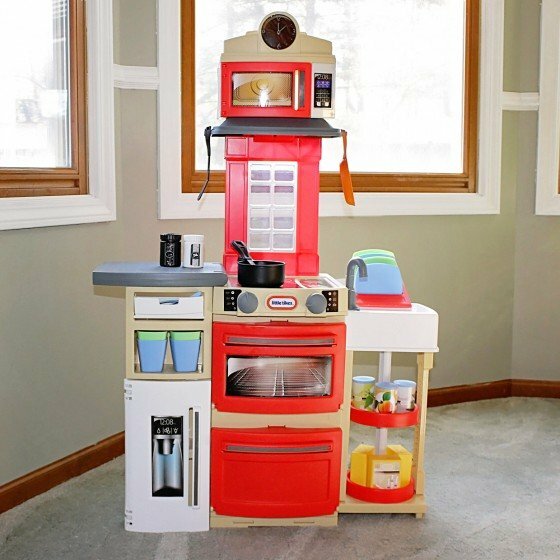 With realistic features and 32 accessories to keep your little one entertained, this Little Tikes Cook ‘n Store Kitchen Playset (available in red and pink) is the best bang for your buck. Equipped with features that are seen in your kitchen, they’ll keep your little one entertained for hours. There are enough accessories for multiple children to play, and together they can create a fun game of house. 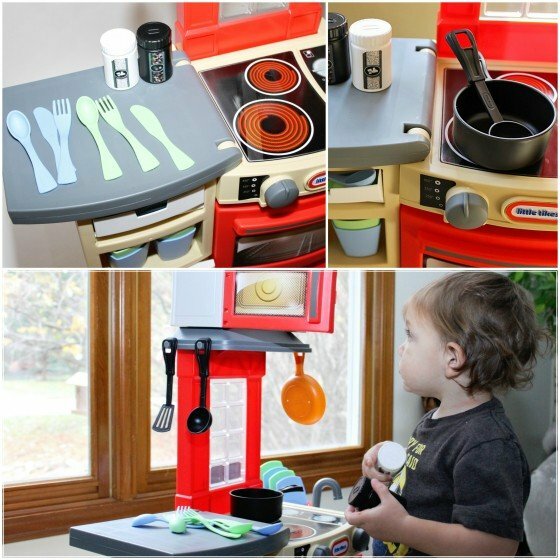 The Cook ‘n Store Kitchen by Little Tikes is perfect for toddlers who like to stay busy. With the versatility of this play set and all of the accessories that come with it, it’s the perfect stepping stone for your little one joining you in the kitchen. Not so long ago, in a land by the sea, there was a baby that slept so well, her mom had no idea what other parents were referring to when they talked about being sleep deprived. (We swear it’s true!) In her efforts to understand what made her baby different, she discovered it wasn’t her baby at all, but a special gift she received from afar when she was a newborn – a sleep bag. This simple bag was a part of her daughter’s sleepy-time routine and kept her snuggly, secure, and comfortable all through the night – nearly eliminating night-time wakings. It was literally a parent’s dream come true. And, this one mom wanted all babies to have one. Imagine how much happier and healthier families could be! So, the idea of Cloud b was born. She told a very inventive designer/builder/jack-of-all-trades she knew about her idea and, as in true fairytale fashion, the unlikely pair assembled in humble quarters to embark on their entrepreneurial adventure. She brought a keen eye for design and a mother’s intuition. He brought an innovative nature and insatiable curiosity. 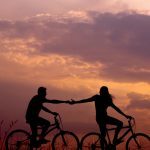 Together, they transform simple sleep aids into opportunities for human connections. SuperMax the Turtle is a tiny turtle with BIG stars! 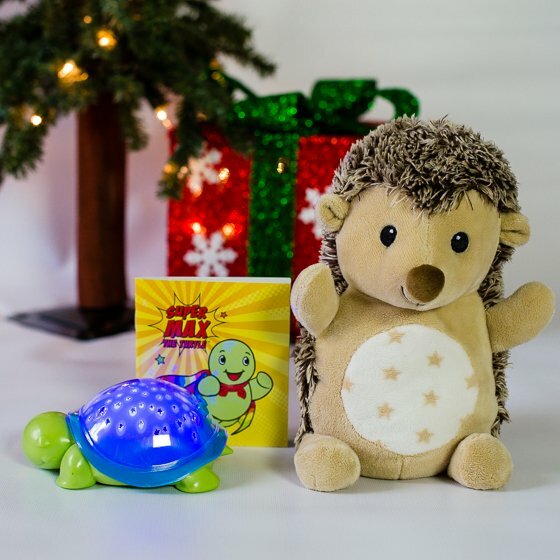 Small enough to fit into the palm of your hand but big enough to fill an entire bedroom with a starry night sky, Super Max the Turtle has three calming color options to soothe little ones to sleep no matter where bedtime lands. 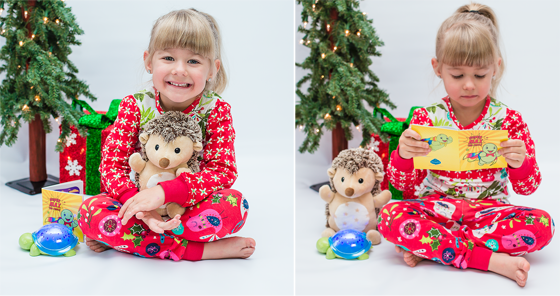 Stay Asleep Buddies (Hedgehog Pictured) are interactive, plush pals who teach children when to sleep and when to wake! Using gentle melodies and glowing lights, children quickly learn to distinguish between bedtime and playtime – meaning more sleep time for both of you! Plus, the Stay Asleep Buddies are easily programmable for a full night’s rest or a much-needed nap. These two products from cloud b are perfect for any child from birth to age 3 who needs some gentle encouragement to sleep, or stay asleep. 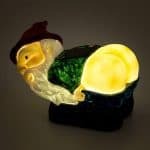 They are an adorable addition to any child’s bedroom, and your child will grow to love the ambiance and comfort that they provide. 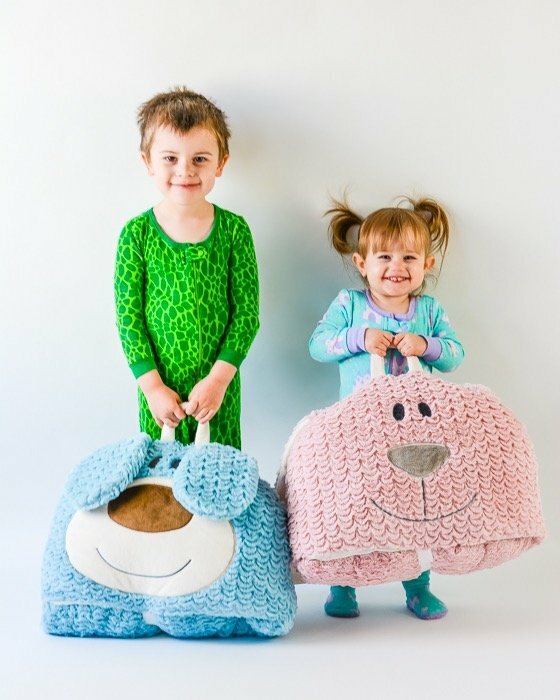 Aden & Anais is a true staple of childhood, and their entire product line is an ideal gift for any little one in your life, from newborns to big kids. Each Aden & Anais product is made from the very softest muslin fabric, and features their iconic, signature prints in both soft colors and bold colors. Known as the original muslin swaddle company, Aden & Anais is one of our most favorite gifts to give to our little ones. 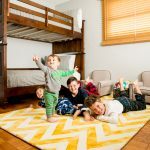 We are here to say that Dream Blankets are not just for babies! Aden & Anais truly knows how to make a remarkable blanket – their ubersoft muslin Dream Blankets truly get softer and softer with every wash. Dream Blankets are made from 4 layers of 100% cotton, and they’re warm, yet breathable. 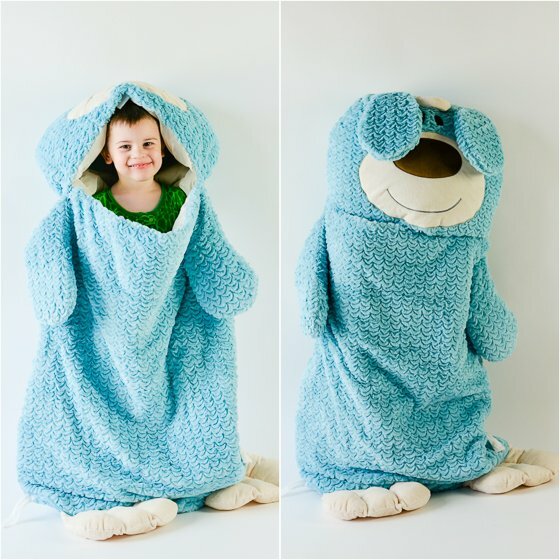 They’re so cozy that you’ll be wishing for one in an adult size! 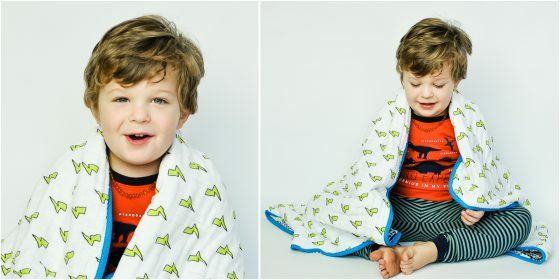 The Whiz Kid Dream Blanket is one of our favorite patterns in the line, and is a more mature print for your big kid. 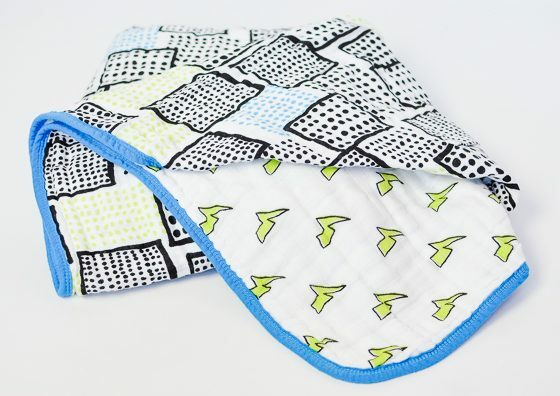 Your whiz kid will love the superhero-inspired lightning bolts and city skyline-esque print on the opposite side. It’s the perfect soft, fluffy blanket to throw in the car on a cold winter’s day, or to snuggle with by the fire and watch the snowflakes fall. This blanket is perfect for any child on your list – from the tiniest of newborns, to toddlers, to bigger kids – everyone loves a good, snuggly blanket, and Dream Blankets from Aden & Anais definitely are at the top of our list. 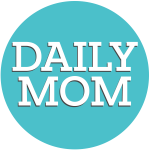 American Plastic Toys makes and manufactures high-quality-yet-affordable plastic kids toys. All of their products are assembled in the U.S., and over 96% of the components in the company’s products are molded in U.S. plants or purchased from U.S. companies — figures on which the company prides itself. The company also boasts high safety standards, reasonable prices, and wide availability at a variety of U.S. retailers. American Plastic Toys has twice been recognized by the Parents Choice Awards for its excellent kids’ products. The Deluxe Shopping Cart is a great addition to any child’s playroom. This colorful shopping cart features a molded seat perfect for a doll or teddy bear, as well as large body to hold lots of “groceries.” The cart’s sturdy handle and design make it perfect for a toddler to hone his walking skills — and its plastic wheels make it wood-floor friendly, too. Every child needs a shopping cart in their playroom — and this is a sturdy and affordable one that will hold up to lots of action! 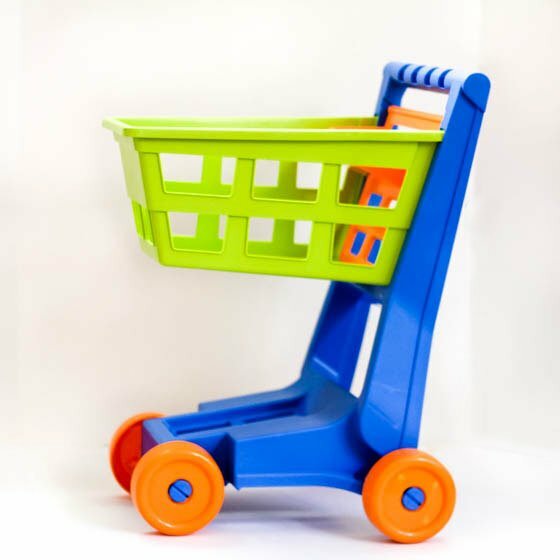 American Plastic Toys’ Deluxe Shopping Cart is a staple for every child’s play room. Kids will love pretending to grocery shop or push their animals around — and it’s sturdy enough that just-learning-to-walk toddlers can use it, too! At $15, your child will get lots of use out of this cart. 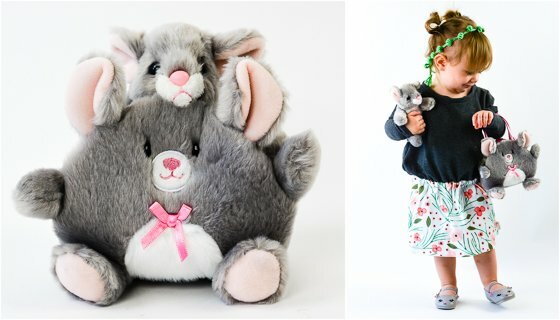 Betsy Ballerina Bunny is an adorable, 9″ tall plush bunny, who loves to leap about and twirl cutesy in her ballerina dress that is interchangeable with her other 9″ animal friends. Her classic long, soft ears are the trademark Jellycat characteristic, and fly outward as she pirouettes! 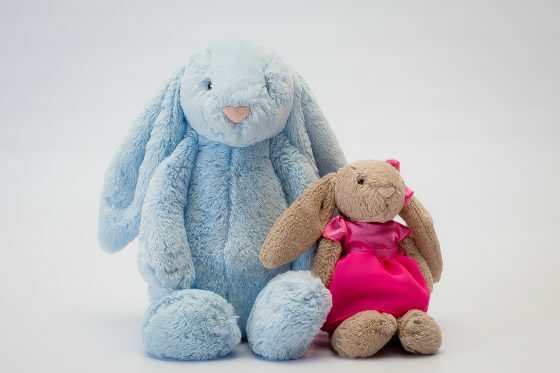 The plush animals from Jellycat are the perfect gift for any child who simply loves plush toys. They are amazing quality, and last for years, and are some of the softest stuffed animals you will ever feel. They make wonderful “first stuffed animal” gifts for expecting moms and new babies. From a family of experienced toy makers, Apple Park‘s founder, Angie Ting, set out to create a line of eco-friendly products with her two young children in mind. Her concern for the health of babies, the environment and social issues derived from conventional farming, were her inspiration. She formed a partnership with Pate International, a highly respected San Francisco design firm known for their environmentally conscious designs, to create the brand in 2009. Susan Pate, along with her daughter Chloe Pate, helped her realize her dream and together they created Apple Park. 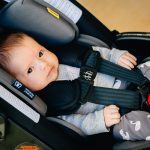 What started as a vision to create environmentally responsible and luxurious products for babies and children has led to products that are not only safe for small ones, but also good for the whole earth. Splish splash, it’s time for a bath! 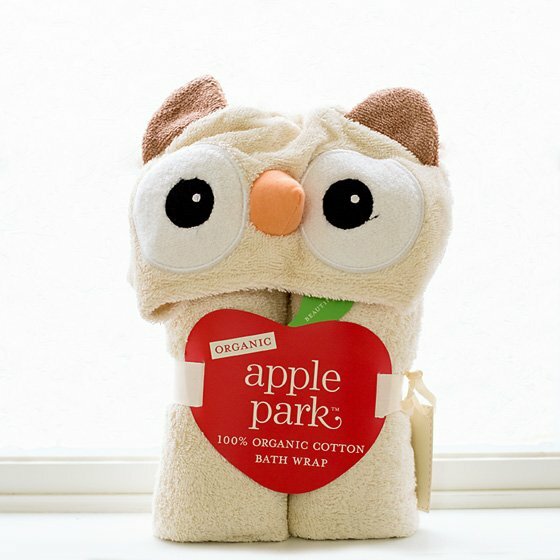 Kids love to wrap themselves up as various characters or things after playing in the tub, and they’ll especially love dressing up as Who the Owl with Apple Park’s Toddler Bath Wrap (or any one of Apple Park’s fun characters). Made from 100% organic cotton, these towels are earth-friendly, fun and much longer than a lot of the bath wraps we’ve tried. You may even find that your child doesn’t want to get dressed as they’ll think of this fun towel as a silly costume worth playing in all day or night. 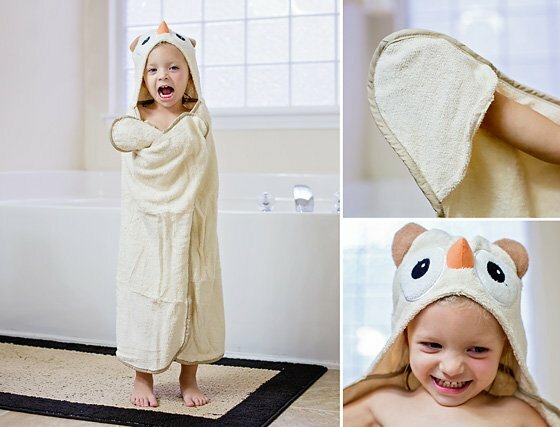 The Toddler Owl Bath Wrap is the perfect gift for any kid who loves to extend bath time beyond the tub. It’s a non-toy type of gift (which we love), so not only is it practical, but your child really will have fun playing dress up while getting clean. Established in 1981, Aurora is one of the leading suppliers for high quality gift products. Aroura offers an affordable variety of plush gifts for all ages. Aurora is well on its way to accomplishing its mission of becoming the world’s leading character and contents company. Distributed among retailers such as zoos, small and large gift chains, hospital gift shops and toy stores, Aurora gifts are everywhere! Fancy Pals Purse Pet Mouse Carrier is the cutest little purse you’ll ever see. Made of silky soft faux fur, this tiny little mouse carrier has two pink, glittery handles and a velcro enclosure to ensure all your little one’s most important possessions don’t fall out! The mouse carrier comes complete with a baby mouse that fits securely inside, ready to tag along on your child’s daily adventures. 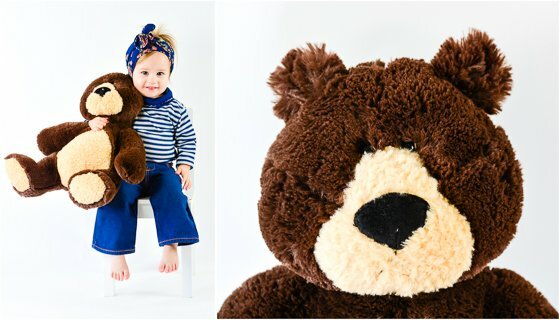 Chuckles Bear is the perfect classic teddy bear, who is sure to become your child’s lifelong friend. 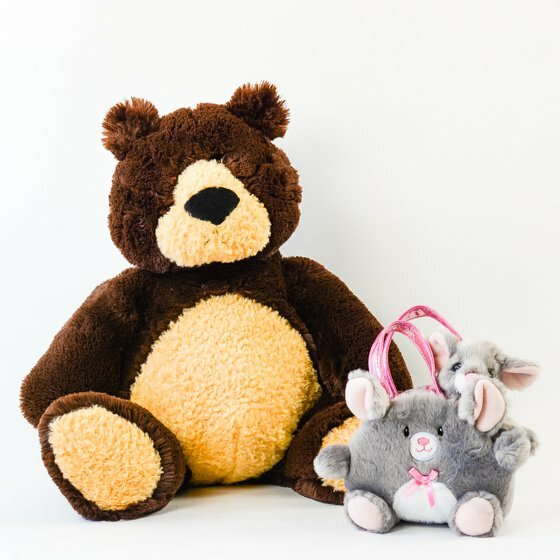 With ultra fluffy dark brown fur and tan accents, a big brow nose, and gentle eyes, Chuckles is great for snuggling, nap time companionship and daily make-believe. Chuckles comes in three sizes: Small (10″), Medium (13″) and Large (19″); so there’s a perfect size for every child! Aurora plush toys make the perfect gift for children of all ages. With their lush material and warm character appeal, these plush toys will find their way from nursery to college dorm room and beyond! The Hachette Book Group houses some of the biggest names in books, including JK Rowling, the Twilight series, Nicholas Sparks, David Baldacci, Malcolm Gladwell, and Joel Osteen. They are a leading publisher based out of New York, and are part of Hachette Livre, the third largest trade and educational publisher in the world. Starting way back in 1837, this is one of the country’s oldest publishers, and they have grown immensely since then. Their mission is to publish great books well, and that is certainly what they deliver. 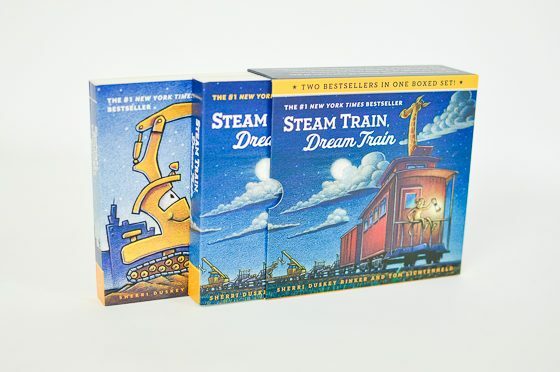 If your child is obsessed with all things vehicle, this boxed set, containing Goodnight, Goodnight, Construction Site, and Steam Train, Dream Train, will delight them this holiday season. These are two all-time favorite, New York Times bestseller books, now available together in a boxed set that’s made for bedtime. Both books in this set are ideal bedtime books – perfect for settling down for the night, getting quiet, and snuggling under the covers with your little one. 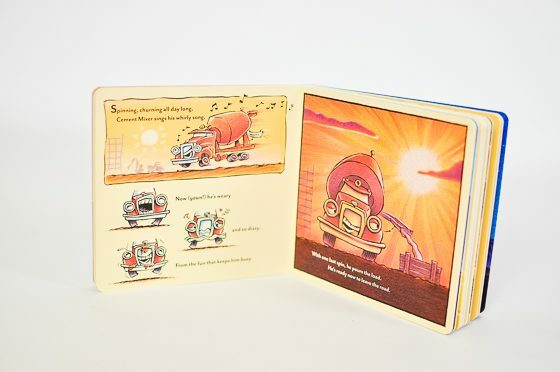 Starting with the relaxed pace of Goodnight, Goodnight Construction Site, your construction-loving child will start to feel sleepy dust, as he/she learns about each of the big pieces of construction machinery going to sleep after a long day’s work. You can finish bedtime stories with Steam Train, Dream Train, a delightful story about a train full of animals and silly things. 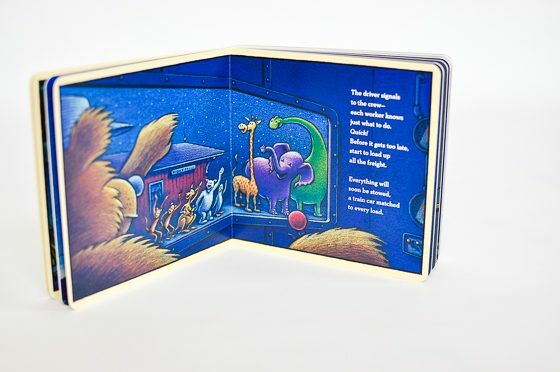 This book has a rhythmic, soothing pace that will get your little one ready to drift away into their own dream land. The Hachette Book Group offers the most extensive array of literature imagineable and truly has an excellent selection for anyone on your list. This boxed set is perfect for any child in your life who loves construction, vehicles, or trains. reviewed products and services, affiliate links and other forms of sponsorship.